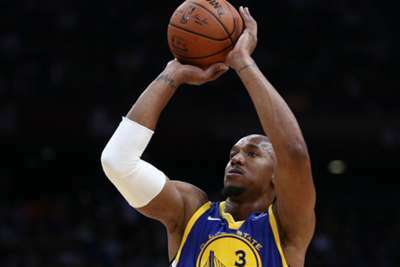 David West hinted at drama in the Warriors locker room after the team won their second straight NBA Finals, but one Golden State assistant coach was unsure what the veteran big man was talking about. Ron Adams, who has been with the Warriors since 2014, said during an interview with San Francisco Bay Area radio station 95.7 The Game that he was "a little mystified" by West's comments. "Our year was marked by some inconsistency and in some games not playing to our potential, certainly," Adams said on the 'Joe, Lo & Dibs' show on Monday. "And I think that probably led to some frustration. But in terms of anything in the locker room that I can recall, I just, I don't get that." West told ESPN after the Warriors secured a sweep of the Cleveland Cavaliers on Friday that "people will be shocked" when they find out what when on behind the scenes with the team this season. Adams said he had to ask fellow Golden State assistant Mike Brown if he "missed something" after he read West's comment. "I have no idea what he's referring to," Adams said during the interview. "I mean, any season you have your ups and downs. I thought for the most part our guys stayed together well."